Food! We all love to eat and when you’re on a candida diet, it is definitely restrictive in what you are allowed to have. Probiotic supplements are probably the most efficient way to get good bacteria into our system, and if you are unsure, I recommend checking my post on Why You Need To Use Probiotics. You can also support ingesting foods that promote the growth of bacteria (prebiotics), and you can also take probiotics in food. Now most foods that claim probiotics are actually quite terrible, and you should only use home made as store bought will NOT have the probiotics. Fermented foods are naturally high in probiotic content and you have a couple of different choices to consider. Both sauerkraut and kimchi are made from cabbage, which is naturally high in bacteria to begin with. This is a good video on how to make sourkraut. When you buy Kimchi and Sourkraut in the stores, they are often not fermented properly, and they use additivies to make it taste fermented. I do not recommend using store bought, as it really does not compare. How can they possibly store it for 6 months and then sell it to you? Kimchi is very bulky, and would take up too much space. That is why the only Kimchi that I eat is home made as I know a good Korean family who makes it for me. While dairy is not to be consumed on an anti-Candida diet, yogurt is quite healthy and is a great source of probiotics. The fermentation process changes the lactic acid, so it is no longer a concern. If you are going to buy a yogurt in the store, I recommend you only consume Greek Yogurt, not regular yogurt. Look for plain yogurt with no added sugar at all, the plainer it is the better. Of course the same as Kimchi I recommend making yogurt on your own. It’s not that difficult as all you need is a container of milk and some yogurt starter, which you can purchase in a health food store or online. Some people have special heating elements used to maintain the temperature for fermentation, while others use their stoves or crockpots. Again, you can find detailed instructions online – specific, but not difficult at all. Kefir is an excellent probiotic drink made from kefir grains. Most store-bought brands have a lot of added sugars and flavors, so you’re really better off making this one on your own. It’s as simple as putting starter grains in milk and letting them ferment for a couple of days. You can, of course, find water kefir grains as well, and it ferments by eating sugar. This is a great option for those with a true dairy allergy (casein) who can’t have any milk products at all. There are other probiotic foods available as well, but these are by far the easiest ones that show the most benefit. 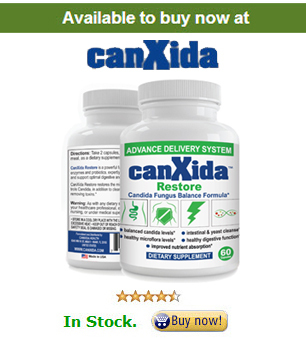 If you find it too difficult for you, or time consuming, then I recommend just taking a good probiotic supplement like canxida restore so that you can get all the benefits of probiotics that you need.